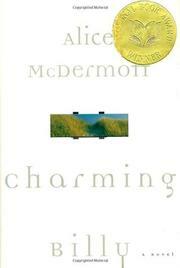  McDermott (At Weddings and Wakes, 1992, etc.) extends her view of Irish-American life with this gentle portrait of an alcoholic freshly dead from drink, and of the family he leaves behind to reveal and remember. Everyone at the wake agreed that Billy Lynch was a fine man- -when sober. But they also knew something of his pain, born from the long-ago death of his fiancÇ just before she was to come back to Brooklyn after a trip to Ireland. Only his cousin and best friend Dennis, though, knew the whole story: Eva didn't die, but she did marry her Irish love--a fact he concealed from Billy for 30 years, not knowing that Billy would mourn what might have been for the rest of his life, even after he met and married the gentle, love-struck Maeve. Then, in Ireland in 1975, to take The Pledge after years of hard drinking, Billy learned the truth by chancing to meet Eva as he was on his way to visit her grave--and promptly took back his Pledge. As he had in times previous, Dennis helped Maeve through the years that followed, answering Billy's wee-hours phone calls and bringing him to bed whenever he'd passed out, even as Dennis's own wife sickened of cancer and died. And now Dennis's daughter, grown with children of her own, has come home to support him after Billy was found dying in the street--just as Dennis supported Billy and Maeve, and as his father before him supported countless penniless Irish relations as they made the leap across the Atlantic to a new life. It's this daughter who puts the pieces of Billy's sad but profoundly loyal existence together, mingling them with her father's and her own in a special way that leaves her well prepared for the turn of events to come. A softly resonant and nostalgic tale told so masterfully, so movingly, that it seems to distill a human essence on virtually every page.